Kariyushi 58 is a four-man rock band from Okinawa. “Kariyushi” is an Okinawan term that has a very auspicious meaning, and is itself a symbol of Okinawa. 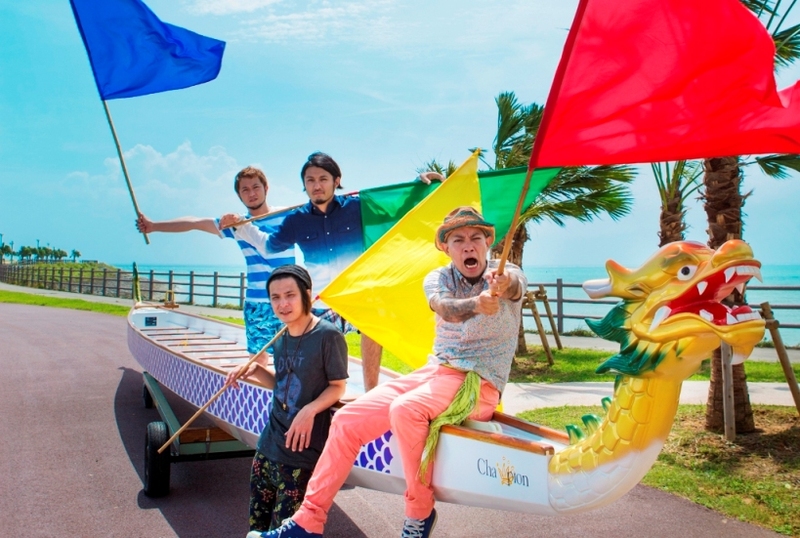 Okinawa’s main highway is National Route 58, and just as that road crosses the sea and connects with Kyushu, the band wants their music to cross the sea and resound in Japan. A mélange of rock, traditional Okinawan elements, and reggae influences, their music transmits an atmosphere of chirudai, or “sacred laziness,” (an almost spiritual, relaxed mood) that Okinawans have identified as something that distinguishes them from mainland Japanese. Upbeat and celebratory in tone, it might be described as positive floating rock. Melody lines that pierce the heart and the vocalist’s direct, earnest voice have been cited as the Kariyushi 58’s greatest charms. According to their singer, the band’s songs are fairly simple because musically, their goal is to express their message using the minimum necessary words and sounds, so the components of each song are carefully chosen and the unnecessary elements cut out.